Please join the NNNO Board in saying thank you to Congresswoman Eddie Bernice Johnson (TX-30) and Congressman Peter King (NY-3) for joining together to introduce H.R. 485. Congresswoman Johnson, a Democrat, is the first nurse elected to the U.S. Congress and is presently serving her 11th term in the House of Representatives. Congressman King, a Republican, serves as a member of the Homeland Security Committee; is Chairman of the Subcommittee on Counterterrorism and Intelligence; and is also in his 11th term in the House. 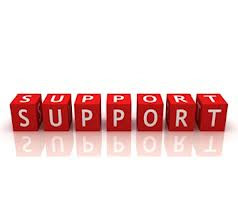 Take action by contacting your US Representative if he or she is not listed above to urge them to co-sponsor H.R 485, The National Nurse Act of 2013. Let them know you want to see preventive health services delivered to every American by the most trusted health service providers-Nurses! Portland, Oregon- Nurses in Portland believe they know how to slow rates of chronic disease and thus reduce Medicare and Medicaid costs. Their solution: Involve more nurses in PREVENTION. Their proposal is designate an existing position, the Chief Nurse Officer of the U.S. Public Health Service as the National Nurse for Public Health. By doing so, Congress will provide more impetus to promote the Medical Reserve Corps, strengthen existing public health infrastructure, and mobilize available resources of willing nurses and other healthcare workers within each community to deliver and reinforce messages of disease prevention. Congresswoman Eddie Bernice Johnson (D-TX) and Congressman Peter King (R-NY) agree and introduced H.R. 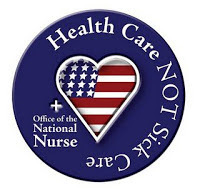 485 The National Nurse Act of 2013 on February 4, 2013. The bill has already garnered bipartisan support from 35 members of Congress, including the entire Oregon Congressional Delegation. As a national advocate for nursing actions to champion public health in all communities, the National Nurse for Public Health would collaborate with the Office of the Surgeon General to identify and address national health priorities; serve as a visible national spokesperson for engaging nurses in leadership, policy, and prevention efforts; and encourage health professionals to work with their local community programs to improve health. Diabetes, cancer, and heart disease, and underlying causes such as obesity and tobacco use, affect more than 130 million Americans and contribute greatly to our out-of-control healthcare costs. According to the Partnership to Fight Chronic Disease, these conditions cost more than $1 trillion a year, and if there is no change, could balloon to nearly $6 trillion by 2050. Preventable and highly manageable chronic diseases account for 75 cents of every dollar we spend on healthcare in the U.S, every day, every year. Even more daunting, chronic disease costs consume more than 90 cents of every dollar spent on Medicare and Medicaid. In contrast, we spend less than 5 cents on prevention. The U.S. is in dire need of a national nurse to lead R.N.s to the forefront of creating healthcare policy and real reform. With the Affordable Care Act close to full implementation, a national nurse is the perfect solution to creating quality, affordable healthcare in America. Washington, DC—(Monday, February 4, 2013)—Today, Congresswoman Eddie Bernice Johnson introduced the bipartisan National Nurse Act of 2013. The National Nurse Act of 2013 would designate the Chief Nurse Officer of the U.S. Public Health Service as the "National Nurse for Public Health." The National Nurse for Public Health would function alongside the Surgeon General and focus on health promotion, improving healthcare literacy, and reducing health disparities. "As the first registered nurse in Congress, I know from experience how nurses play a critical role in health promotion and disease prevention," said Congresswoman Johnson. "Chronic illnesses such as diabetes, cancer, and heart disease threaten the health of so many Americans. The National Nurse for Public Health would raise awareness about what each of us can do to prevent illness while improving our own health and that of our families." The National Nurse Act of 2013, co-led by Congressman Peter King (R-NY), has gained the support of thirty original cosponsors. U.S. Representative Eddie Bernice Johnson is the highest-ranking Texan on the House Committee on Transportation & Infrastructure and a senior member of the Science Committee. She represents the 30th Congressional District of Texas, which includes Downtown Dallas, Fair Park, Kessler Park, Old East Dallas, Pleasant Grove, South Dallas & South Oak Cliff; all of Cedar Hill, DeSoto, Duncanville, Hutchins, Lancaster & Wilmer and parts of Ferris, Glenn Heights, South Grand Prairie, Oak Lawn, Ovilla, Uptown/Victory Park and West Dallas. The National Nursing Network Organization’s Board of Directors and Advocacy Team extends their gratitude and appreciation for the leadership displayed by Congresswoman Johnson and Congressman King in reintroducing this important legislation. We also wish to thank the 30 original co sponsors for their support. Finally, we would like to recognize the legislative staffers in the offices of Congresswoman Johnson and Congressman King for their hard work and support- special thanks to Lindsay Schubiner and Jamie Tricarico. The next National Nurse Newsletter will be published soon. Over the next few weeks, we will be updating the National Nurse websites and signatory letter in support of the National Nurse Act of 2013. In the meantime, please don't hesitate to contact us with your ideas and feedback. Your support will be invaluable to realizing the success of this bill and we look forward to working with all of you in the months ahead. Let me tell you, this surpasses the definition of a wonderful concept. We have had a Surgeon General, but no National Nurse. Well, it is about time that our profession is being recognized to fulfill such a prestigious position. I hope that "along side the Surgeon General" means that the National Nurse for Public Health would be a Collaborative arrangement with the Surgeon General. Nursing is in a constant state of change today, as we fulfill all the needs of health care. Along with today's technology and educational advancements we are best suited to be in roles such as what is being proposed by the National Nurse Act of 2013. What a step forward for our great profession, but also a great day for the Americans who will benefit from Nursing in ways not previously realized. A special congratulations should go out to Congresswoman Eddie Benice Johnson, for being the first Registered Nurse in Congress. She has taken a step for all nurses across this nation and I would say she like us speaks the same metalanguage as an RN.